Microsoft is reportedly working on a Kinect-driven version of Internet Explorer for the Xbox 360. Xbox 360 owners may soon find their consoles equipped with a fully-featured web browser. The 360 currently offers media searches via Bing, but according to The Verge, Microsoft is now playing around with a version of Internet Explorer 9 for the console that will bring the web in its entirety to couches and big screen televisions. Even cooler, the report says that Kinect gesture and voice control will be "heavily integrated" into the browser. Kinect won't be mandatory, but the 360 version of IE9 will be "heavily tuned for Kinect usage," and if you're not right at this very instant dreaming about telling your Xbox to "enhance 34 to 36 - pan right and pull back," then I'm afraid we just don't have anything else to talk about. 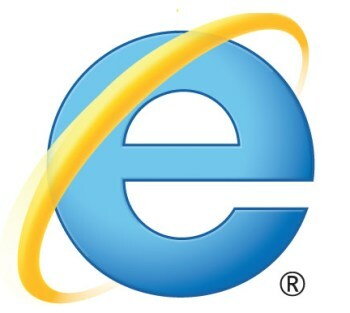 Microsoft hasn't said anything about when this fully armed and operational web browser will actually be available to 360 owners, but with E3 happening in June, it wouldn't be unreasonable to expect to hear something official in the relatively near future. Now if only someone can make it work with Google, we'll be all set.